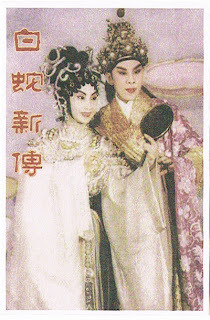 This is one of the famous Cantonese Opera in history by Yam Kim Fai 任劍輝 and Bak Sheut Sin 白雪仙. The two most famous Cantonese Opera artists in Hong Kong. I bought this in Hong Kong History Museum where they have a Cantonese Opera Exhibition last year.